While there are many different types of illnesses that can be transmissible from poor air quality, there are five major diseases that affect labourers. They are: silicosis, mesothelioma, COPD, lung cancer, and occupational asthma. The Middle East has historically served as the genesis and the cradle of civilisation, from the Mesopotamia and Babylon, through ancient Egypt, Sumer and onward. Tremendous contributions toward the progression of humanity were discovered and integrated throughout the span of time in the region - perhaps the most noteworthy being infrastructure and industrialisation. Dating back to the construction of the ancient Pyramids and Sphinx of Giza to the behemoth Burj Khalifa in bustling 21st Century Dubai, the region has solidified its foothold as an industry leader. As with any form of innovation, however, undesirable side effects can become a realistic pitfall. Throughout the course of construction and industrialisation, many different techniques, materials, and implementations have been utilised. With factors such as cost, effectiveness and deadlines dictating production, the industry has seen its share of troublesome side effects. Perhaps the most consequential of these drawbacks lies within the realm of worker health and safety. It is no secret that construction and industrial work sites can become hazardous, with risks of physical injury; however, one of the most overlooked aspects of health concerns for workers is the threat of respiratory illness. 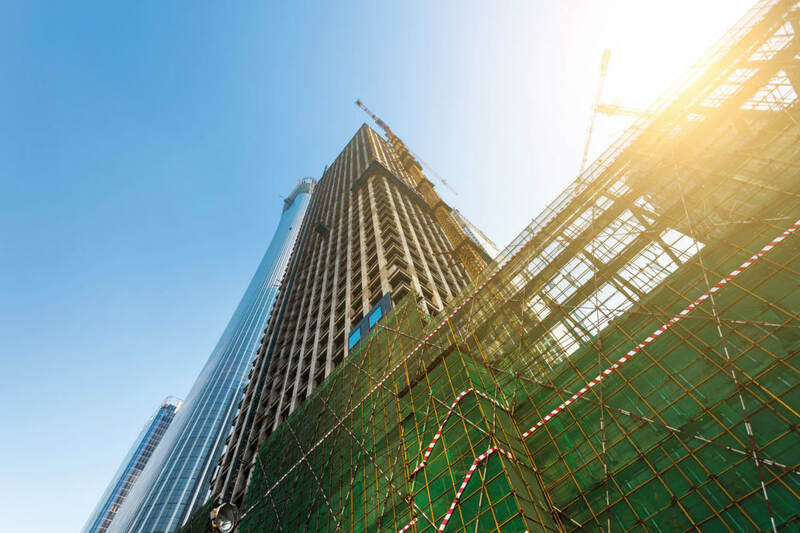 Construction practices can give way to volatile air quality environments, and in many cases workers can inadvertently expose themselves to dangerous carcinogens and airborne toxins. 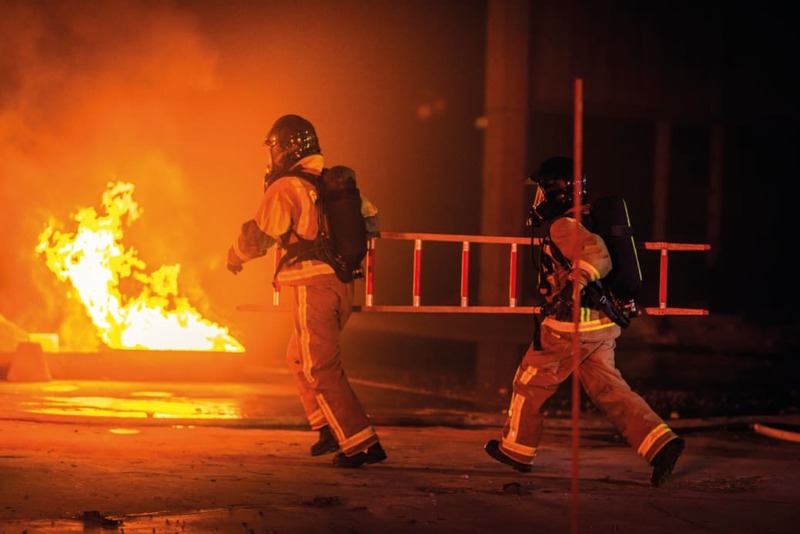 Through demolition, abrasion, deconstruction, or chemical usage, air quality can become compromised and, through long term exposure, workers may find themselves diagnosed with serious lung illness. While there are many different types of illnesses that can be transmissible from poor air quality, there are five major diseases that affect labourers. They are: silicosis, mesothelioma, COPD, lung cancer, and occupational asthma. Behind oxygen, silicon is the most prevalent element found in the earth’s crust. Silica, chemically referred to as silicon dioxide (SiO2), is a formation of silicon and oxygen, which is found in many rocks throughout the world. However, silica is most commonly found in quartz, granite, sandstone and grains of sand – an especially important factor in the Middle East. While silica comes in several different forms, the crystalline form, known as amorphous silica, is a known human lung carcinogen. Amorphous silica is a very common mineral, and can be found structurally in microelectronics, cement, and hydraulic fracturing. The commonality of silicate material is widespread, as its application can be found across industries including personal care, food, pharmaceutical and glass products. In the world of construction, silica can be found in an abundance of building materials – both natural and manmade. Many occupations within the field directly involve the handling of silica and produce silica dust. This fine powder can be especially hazardous when inhaled. Workers who use sandblasters, jack hammers, or who work with cement are at a heightened risk for silicate dust exposure. 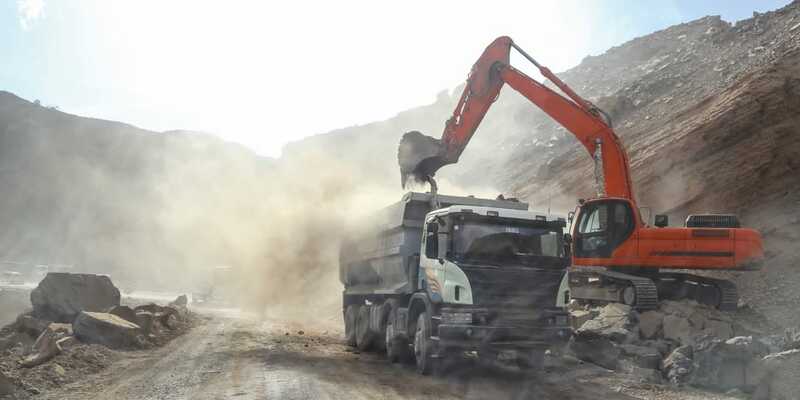 The danger in silicate dust lies within the process of inhalation; the body’s natural process for eliminating respiratory toxins is ineffective with this particular mineral. As more and more silica dust is inhaled by a worker, the greater the risk for developing severe illness becomes. The most common ailment associated with silica exposure is known as silicosis, a lung disorder characterised by nodular lesions and internal inflammation. Symptoms of silicosis include wheezing, shortness of breath, and a severe cough. Additionally, silicosis can affect the body’s ability to combat illness, so viral and bacterial infections can be a concern in patients. Furthermore, the comorbidity of tuberculosis in patients with silicosis is substantial, exacerbated by the arid, dry climate of the Middle East. 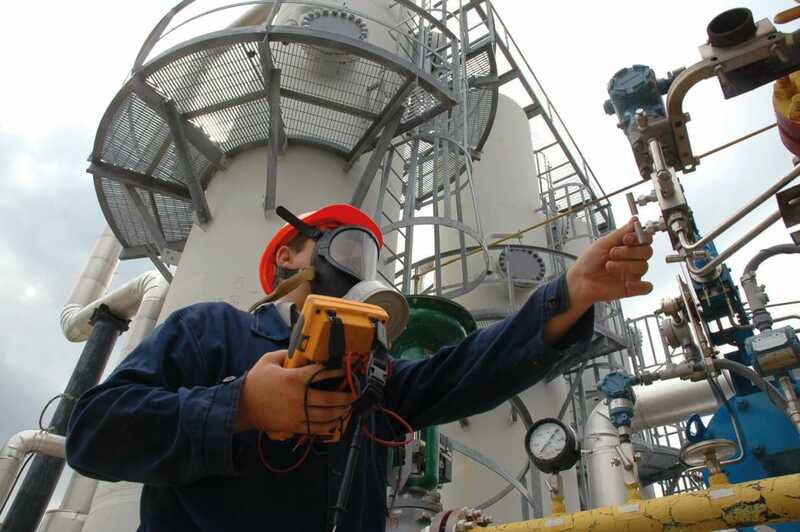 In order to prevent silicate dust exposure, workers must be diligent about the air quality of their workplace. Also, the appropriate wear of calibrated, functional respirators should always be a priority for workers sandblasting or doing any other abrasive jobs. There is no cure for silicosis, so it is imperative that proper safety protocol is followed to protect respiratory health. Initially celebrated as a wonder material for building and industrialised purposes, the ills of asbestos became known in the 20th Century – after a long history of implementation. Asbestos is a naturally-occurring silicate mineral, noted for its durability and costeffectiveness. Additionally, the material has very impressive fire-retardant qualities, making it a desirable component in building construction. While asbestos is most commonly found in insulation of buildings, roofing, tiling and electrical wiring, it was also used in a plethora of other consumer goods throughout the 20th Century. At its peak, asbestos could be found in crock pots, crayons, and children’s toys. Although asbestos seemed initially to be a miracle product, its deadly effects soon came to light with the advancement of modern medicine – as well as increased exposure. As early as the 1920s, doctors began noticing trends and incidence of strange illness in those who worked closely with asbestos. Patients would complain of symptoms like shortness of breath, chest pain, and experience pleural effusion, or fluid buildup in the lungs. These would be physical manifestations of a rare cancer, now known as mesothelioma. This severe disease is transmissible through the inhalation of asbestos particulate matter. Due to the mineral’s molecular composition, it is subject to fragmentation and breaking when disrupted – this quality is known as friability. As the dust is inhaled, it becomes lodged in the lining of the organs, where it lies dormant for years. The prognosis for mesothelioma is poor, as most can expect only 12 to 21 months to live. Like silicosis, there is no cure for mesothelioma, but patients can expect to undergo an extensive medical regimen in the form of treatment. This process usually consists of a conjunctive approach, including radiation and chemotherapy, and in some instances, surgical removal of organs. Additionally, several emerging treatments, such as immunotherapy and cryotherapy, have shown some promise in small trial communities. 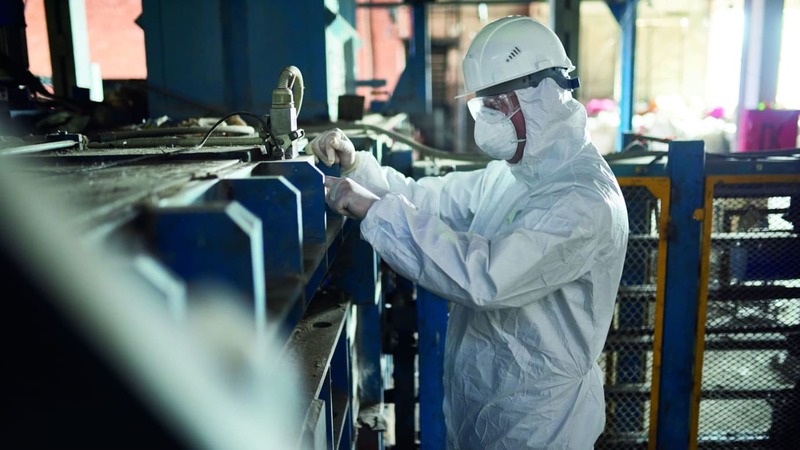 Mesothelioma has greatly affected both the construction and industrial demographics, as these two industries have historically dealt with asbestos first hand. Common places to find asbestos are in older homes and buildings, where it can hide in insulation and panelling, in tile or flooring, roofing and shingles, and in certain electronic applications. Extreme caution should be used when handling these, and removal/abatement should only be undertaken by qualified, licensed professionals. As always, appropriate protection and safety protocol should be adhered to by all labourers when working with the volatile substance. Many nations globally have banned asbestos outright, including several countries in the Middle East. Currently, the nations of Qatar, Kuwait, Saudi Arabia, Bahrain and Jordan all have banned any usage of asbestos. In North Africa, bans are in place in both Egypt and Algeria. However, it is important to remember that even though these bans are in place, asbestos can still be found prevalently in suspect zones throughout all of these countries. Chronic Obstructive Pulmonary Disease, most commonly known as COPD, is a blanket term to identify and describe a plethora of different respiratory ailments. The most common disorders that fall under the COPD umbrella, however, are emphysema and chronic bronchitis. While smoking is the primary cause of COPD, indoor and outdoor air pollution remain the second leading cause – a very important fact in the construction realm. The disease is progressive, and similarly to the aforementioned pollutants and conditions, is highly contingent on the amount of exposure to which one is subjected. Although emphysema and chronic bronchitis are the most prevalent conditions described under the COPD nomenclature, the disease can broadly refer to any issue that results in laboured breathing. According to a Duke University (USA) study, cement masons, brick masons and plasterers have a COPD prevalence of 24% – much higher than the general construction worker demographic population’s at 15%. Furthermore, the study found that exposure to solvents, paint mixing and application, and during the process of fuelling trucks and equipment all serve as links to COPD. The study also suggests that fumes from welding and cement dust are the most notorious toxins for the development of the disease. While Chronic Obstructive Pulmonary Disease is characterised by poor airflow, the main symptoms consist of shortness of breath, chronic cough and, eventually, trouble with day-to-day activities – such as walking and going through one’s daily routine. Additionally, the production of sputum increases as the disease progresses. The illness’ severity lies within its irreversibility, as patient’s lung function, airflow and air trapping (the ability to exhale completely) can never be repaired. As the ailment first surfaces, it can be identified by the inflammation of airways – which are irritated through the pollutants discussed above. The airways become scarred – the scar tissue results in the narrowing of the airways, and thus, the inability to breath easily. Later stages of the disease can result in especially low oxygen levels, as well as high carbon dioxide blood levels, due to ineffective gas exchanges. This is caused by faulty ventilation from narrowed airways. While there is no cure for COPD, symptoms can be managed with several different forms of treatment. However, severe cases caused by long-term chronic exposure generally result in death. Age, rate and time of exposure, and baseline lung function are the best indicators of mortality, according to a 1990 study at the National Institute on Health for COPD prognosis. Factors including smoking cessation, comorbidity of the disease and other conditions like asthma, and amounts of exercise can also affect the severity of the disease. In the course of treatment, bronchodilators and steroidal-based inhalers are commonly utilised. The usage of a supplementary oxygen mask can also help to balance blood oxygen/carbon dioxide levels and improve airflow. It is critical to adhere to safety measures in order to prevent the exposure to COPD-causing particles, especially in welding and masonry. Welding should be undertaken in a properly ventilated space when indoors. The welders themselves should also keep a safe distance from the fume zone. When proper safety practices are implemented, the risk for COPD is greatly decreased. Furthermore, the cessation and avoidance of tobacco smoking also reduces the risk of emphysema and chronic bronchitis associated with COPD. Like COPD, lung cancer is most commonly associated with tobacco – both in smokers and through second hand smoke. However, exposure to radon, calcium sulphate, and Portland cement have all been linked to incidence of lung cancer. As with most respiratory conditions, these pollutants occur through airways in which quality and purity have been compromised – both indoor and outdoor. While coincidences such as smoking can exacerbate exposure and illness, it can be determined that construction and industrial workers have a greatly elevated risk for lung cancer, due to the nature of the profession. Radon is a primary culprit for lung cancer. The radioactive gas is derived of decaying uranium, which exists in soil the world over. Although radon is sparsely found in the Middle East, it is important to understand the health risks that are associated with the gas, in order to promote workplace safety. The gas is colourless, odourless, and tasteless, which makes detection difficult without the proper tools. As radon is inhaled, the radioactive properties of the gas manifest in the lungs, and re-programme cellular regeneration – similar to other radiation based cancers. Radon can seep into homes through cracks in the foundation, and can also be found in mines and, in certain instances, spring water. The only way to detect radon is through a thorough test, usually consisting of an ion detector. Calcium sulphate is a molecular compound of an inorganic nature. It has several forms, the most notable being Plaster of Paris and Gypsum. In construction applications, these two materials are commonly used in plastering and walling, with Plaster of Paris acting as an adhesive mechanism in relief work, and also for decorative purposes. While acute exposure may not have many associated health risks, long-term exposure has shown significant risk for detrimental health. Most notably, calcium sulphate in the form of gypsum has been noted as a substantial airway irritant. Similar to silica dust, long-term inhalation of calcium sulphate particles may result in the formation of lung cancer. Portland cement is the most commonly used cement mixed worldwide. While the mix is cost-effective and widely accessible, long-term, high intensity exposure can cause serious illness. Due to the presence of hexavalent chromium, a human carcinogen and also a constituent of tobacco smoke, cement workers may have an increased susceptibility to cancer. As the highly alkaline cement particles are inhaled, they can cause substantial lung irritation and breathing issues. Lung cancer is characterised by the uncontrolled growth of cells, which can fall under small-cell or non-small-cell lung carcinoma. Common symptoms include chest tightness and a severe cough, and in many cases, coughing up blood. There is no cure for lung cancer, and prognosis varies substantially based on the stage in which the cancer is diagnosed. Furthermore, lung cancer is prone to metastasis, where it can spread to different organs and tissues throughout the body. Treatment generally consists of radiation therapy and chemotherapy. Work-related asthma is a condition that arises when the respiratory system is exposed to poor air quality in the workplace. The aforementioned airborne pollutants, as well as volatile organic compounds (VOCs) can greatly affect the ease of breathing, and chronic inhalation can result in continuous asthmatic conditions. Asthma is one of the most common ailments around the world, as the European Journal of Allergy and Clinical Immunology estimates that the condition affects 300 million globally. The condition is identified by the constriction and narrowing of the airways based on an external stimuli - in this case, airborne particulate matter and volatile fumes. This constriction results in laboured breathing, as well as the production of excess mucus, exacerbating the effect. Many irritating agents, such as chemicals like ammonia and chlorine, can cause airway irritation. With this particular form of work-related asthma, there is no period of latency – the symptoms appear almost immediately. Exhaust from automotives, as well as solvents and other fumes can also affect the airways and induced asthmatic conditions. While this condition generally has the same effects, its onset can occur in many different timeframes; the symptoms can appear anywhere from 20 minutes after exposure to four-eight hours afterward. Treatment for work-related asthma is similar to most other forms of the illness. The primary solution is to remove the patient from the hostile air environment, where the recovery stage will begin. Rescue inhalers may be utilised, which dilate the bronchioles and alveoli, promoting airflow. Also, steroidal inhalers and prophylactic medications, such as leukotriene inhibitors, can help ease asthmatic symptoms and prevent asthma attacks. The best way to avoid work-related asthma is to conduct operations in areas with adequate ventilation and to use a respirator when the job calls for such protection. Awareness of the illnesses that can be associated with the line of work in construction and industry is crucial in order to maintain health and safety. While the construction industry provides millions of jobs globally, the risks are well documented. Therefore, in order to prevent serious illness and these severe respiratory diseases, proper management and hazard prevention practices must be executed on a daily basis. When these practices are implemented, workers can enjoy a safer environment, and strive towards taking part in the newest project to serve our world. Joe Oot is a health advocate focused on raising awareness for lung health and cancer prevention within the construction community. Working with leaders in the construction and materials industry, his work is helping put an end to the use of carcinogenic additives within common construction materials.